Peso Checking Account: Allows you to manage your money in Mexican pesos and earn an interest income. The minimum balance to open a peso account ranges from $500 to $1000 pesos depending on the type of account, regular checking or interest bearing. U.S. Dollar Account: To open a dollar denominated account, you must be a U.S. or Canadian citizen. The minimum balance to open a U.S. Dollar account ranges from $500 to $1,000 dollars and these accounts also range from regular checking to interest bearing accounts. Certificates of Deposit: Only offered in peso accounts, they give the most competitive returns on the market. The minimum to open this type of account is $1,000 dollars. Have cash ready to open your account. If you intend to use the account for Mexico transactions, open the “Peso Account”. Along with your cash, bring your passport or drivers license and present proof of your residence such as an electric bill AND your visa. IMPORTANT NOTE: If you are entering Mexico on a tourist visa, make sure you check the box for purpose of trip as a “business” traveler. If you check “tourist” you will not be able to open a real bank account. 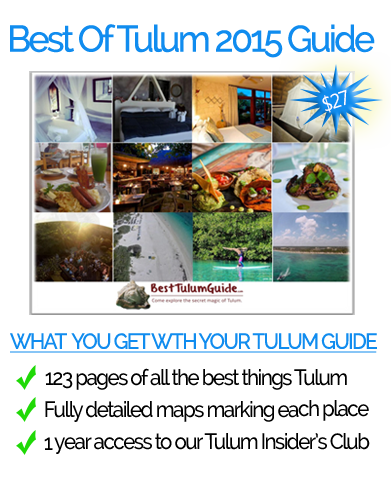 In some cases you may be able to open an account to send and receive wire transfers only as a tourist. To open a business account, bring your passport or drivers license and your articles of incorporation and powers of attorney. 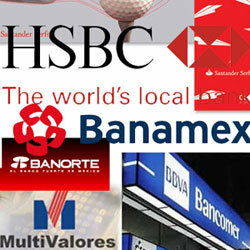 Although all the banks in Mexico are now international banks, they do not operate the same as in the U.S. or Canada. All of the Mexican banks listed above have steep monthly service charge fees. Make sure you understand all the rules and fine print so you are not shocked when your bank statement comes in. A couple of common rules are the minimum amount of transactions you have to make in a month and the minimum balance maintenance. Violating any rule will bring on extra fees which add up over time. Going to a bank in Mexico tends to be an event rather than something you do on your way to somewhere else. If you remember this and stay on the positive side, it’s a chance to see people you haven’t seen in a while and catch up. You will the time to have a real conversation and, who knows, you may end up getting invited to a party! Plan on spending 20 minutes to an hour doing anything other than using an ATM. On the days when Mexican’s cash their pay checks, which are typically on a Friday, the lines are similar to those at popular amusement park rides, in particular, the roller coaster. When exchanging money at the bank, you need to bring your passport with you. The banks will always give you a better exchange rate than the Money Exchange booths, but you are going to have to wait in line to do this (see above) and it can be lengthy. In 2010, Mexico began limiting the number of dollars that could be converted to pesos to about $1,000.00 a month. Deposits of U.S. checks can take a week or two to be credited to your account and Mexican checks from banks other than your own can take twenty-four hours up to ten days. A check from the same bank will be credited to your account the same day. ATM machines are prevalent in Mexico so you do not have to worry about finding one unless you are in a very remote place in Mexico. Most ATM machines will give you a choice of either pesos or dollars. ATM machines will give you the best exchange rate, generally around 3% and they are the quickest way to access your money. If possible, always try to use your bank ATM. If you have an account with BBVA, use a BBVA ATM. The fee to use the ATM machine is waived and then all you pay is the international exchange rate fee. Scanners: When standing in line at any ATM machine, you need to be aware of your surroundings as people with credit card scanners may be waiting for you. Do not pull your ATM card out of your wallet until you are ready to put it in the machine. Hidden Camera’s: Thieves have been known to quietly install hidden camera’s on ATM machines even at the bank ATM’s. The camera’s can be so undetectable, it may take the bank a while to realize they are there. When typing in your pin, cover the pin pad with your hand or your wallet so the camera can not see you typing. This is easier said than done but is something I am now in the habit of. Leave your domestic bank accounts open and let them know of your plans to move to Mexico so the Mexican transactions do not freeze your account. Keep a checking and a savings so you can move money between accounts on-line. Before you move, ask what their wire policy is. Some U.S. banks require you to physically go to the bank to fill out the wire form. If this is the case, get someone you trust to be a signer on your account so they can physically go to the bank and fill out the wire form on your behalf. 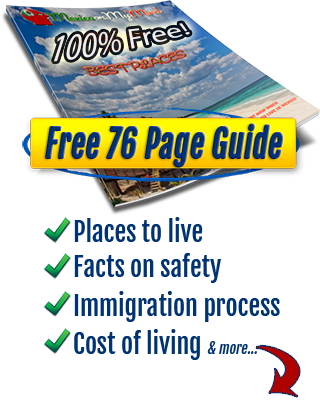 You can live very easily in Mexico without opening a Mexican bank account. As mentioned above, ATM machines are everywhere, they offer the best exchange rate, and if you use an ATM from your own bank, the fee is nominal. Overall, the majority opinion of a typical visit to the bank usually contains notes of frustration tempered with patience followed by humor, and who couldn’t use a good laugh once in a while.